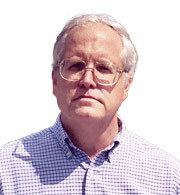 The 2011 Porcelli Lectures speaker is Professor Lawrence C. Evans of University of California, Berkeley. This expository lecture, aimed at a general audience, will first discuss the profound advantages of linear structure in mathematical problems and then survey several interesting ways to “linearize” nonlinear problems, primarily differential equations. Examples and applications will include perturbation and implicit function procedures, blow-up techniques, kinetic formulations, and adjoint methods based upon formal linearization. This second lecture will continue the themes of the previous talk, surveying for differential equations various convexity methods that can be interpreted as “one-sided linearity” tricks. These are especially useful since, as it will be shown, several important and highly nonlinear problems possess “hidden” convex structures of various sorts. The final lecture will present some technical details about a recent application of linearization and adjoint methods for proving differentiability for weak solutions of the so-called “infinity Laplacian” PDE. This highly degenerate and nonlinear equation is fundamental in the emerging field of sup-norm variational problems and their applications. Lawrence C. Evans, a Professor of Mathematics at the University of California, Berkeley, is a leading expert on nonlinear differential equations, author of over one hundred research papers, and of three books, including the classic graduate textbook “Partial Differential Equations”. In 2004, Professor Evans, jointly with Nikolai V. Krylov, received the prestigious Leroy P. Steele Prize for Seminal Contribution to Research.